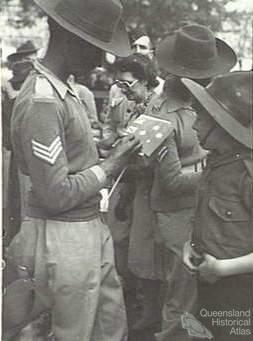 Schoolboy Arthur Crisp having his flag autographed by an Indian soldier following the 7th Division parade in Brisbane in August 1944. 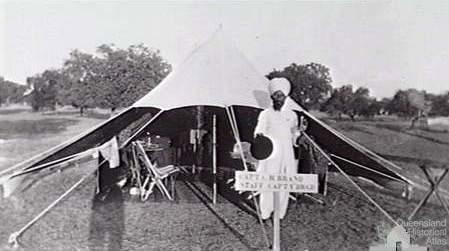 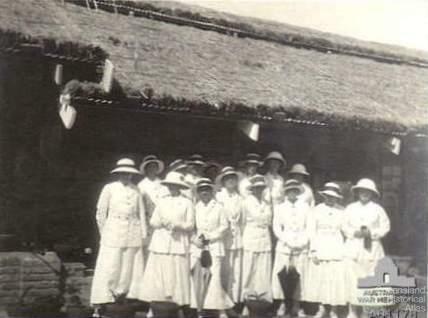 Indian servant outside Charles Brand’s nicely labelled tent, Jalna, India, 1910. 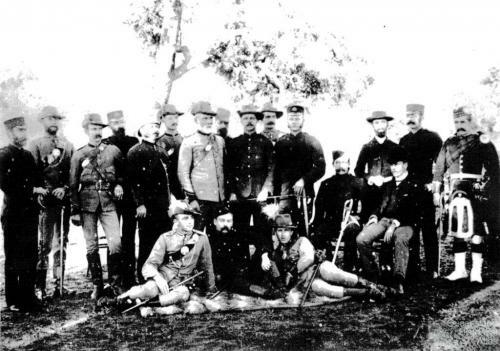 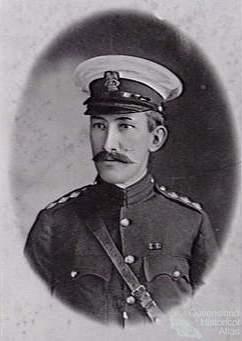 Charles Brand in India c1910, wearing his formal military uniform and campaign medal ribbon showing his South African war service.